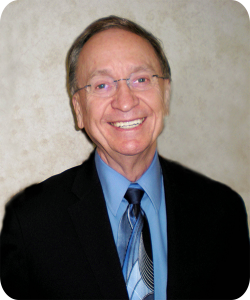 Dr. Wendell Stoelting is an experienced doctor of optometry. He provides you and your family with comprehensive, detailed eye exams which include: children’s eye care, evaluation and post-operative treatment of glaucoma, detailed care for diabetics, and careful cataract evaluation and post-operative care, contact lenses check-ups, and much more. Experienced in providing in-depth diabetic eye care, foreign body removal, care and treatment for eye diseases such as glaucoma, macular degeneration, and diabetic retinopathy, Dr. Stoelting strives to help every patient have the best eye health possible. He often attends optometric meetings across the country to stay informed about the latest treatment options. 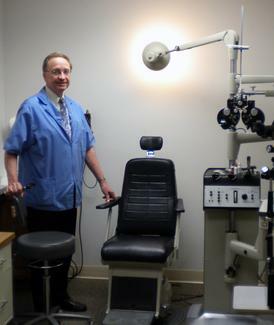 Dr. Stoelting will give you a thorough eye exam to ensure that you have optimum eye health. As an optometrist certified to diagnose and therapeutically treat eye infections, eye diseases, and eye injuries, Dr. Stoelting has an impressive knowledge of the latest treatments. He is knowledgeable is diagnosing eye diseases and eye emergency care such as macular edema, retina detachments, eye infections, chronic dry eye, and foreign body removal which is achieved with the finest of skill and instrumentation. Dr. Stoelting cares about your vision now and your vision for the future. Through unwavering dedication, conscientiousness, and close attention, Dr. Stoelting serves you. Learn why Dr. Stoelting is regarded by his patients and colleagues as the best. They appreciate his kind, gentle manner and the fact that he makes them feel comfortable and at ease. Make an appointment today.